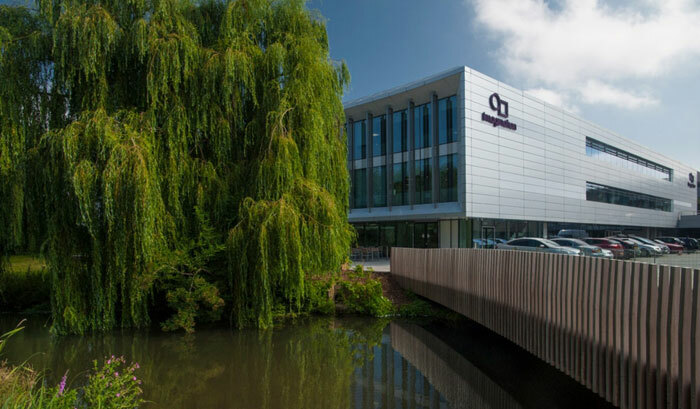 Apple is renting out a 22,500 sq ft office in St Albans, Hertfordshiore, just eight miles from the Imagination Technologies HQ in Kings Langley. A report published by The Telegraph this weekend said that Apple is opening the offices in order to create a facility for developing its own graphics processors. Back in April we first heard that Apple was going to end its reliance upon Imagination Tech's GPUs, over the next two years. As this iDevice business accounted for about half of all IMG's revenue the share price reacted with a severe jolt, dropping as much as 70 per cent on the day. A week later we heard that Apple was embarking on a GPU engineer hiring spree for its 'UK design centre'. About a dozen jobs were posted and Imagination's former COO, headhunted by Apple 10 months previously, would be there to welcome new staff through the door. Now Imagination Tech is up for sale with a number of parties said to be interested in buying the group. The latest development, with Apple opening these offices so close to Imagination Tech in the UK "is set to heighten tensions between the companies, exacerbating fears that Apple is seeking a quasi-takeover of its supplier by hiring its employees and weakening the company’s hand," reckons The Telegraph. Understandably there is some visible hostility between the companies now. In a statement last week IMG chief exec Andrew Heath branded Apple unethical. Imagination Tech still protests that Apple simply can't develop its own GPU technology without infringing upon IMG patents in such a short time. Meanwhile Apple has 'fired back' at Imagination, reports Bloomberg. According to a report just ahead of the weekend Imagination Tech has known about Apple's intent to cease using its graphics technology for "nearly two years". This is a serious accusation, as UK stock market listed companies are expected to issue any share price impacting news to investors immediately. That's a clearly hostile takeover move if I've ever seen one. They are either putting pressure on IMG to further reduce their share price to buy them or they don't want to buy them but they want to steal the engineers by making it easier for them to switchover. Why else would you open an office directly competing with them literally down the road? I hope that some tech giant buys IMG just to stick it to Apple. Pay employees enough to keep Apple off, and so have a harder time developing its own GPU, and stop licensing IMG cores to Apple, so they have to go to another 3rd party solution. Wow… just flaunting their complete lack of respect for fair and reasonable business practices.